Michael Fridjhon: Is the closure war coming to an end? The debate around closures has been part of the world of wine for several decades, and like most matters where belief carries more weight than the facts, it has acquired the intensity of religious dogma. There are several obvious reasons for this: from the moment an alternative to cork presented itself, it was in the interests of the cork industry to vilify “the enemy.” This meant that stelvin was labelled “cheap and nasty” while those in the screw-cap business had to emphasise cork’s Achilles heels: taint and oxidation. Cork in returned responded by claiming that oxidation was good (“screw-caps ’cause’ reduction”) and so the blame game has continued. There has been a sense that any gains made by the one side will necessary be at the expense of the other – which in fact is a long way from the reality. The cork merchants boast about how strong their sales continue to be at exactly the same time as the screw-cap industry releases figures showing how many billions of units are sold every year. The market has grown, the products (on both sides of the great divide) have improved vastly and it really should be a case of “live and let live.” Only it isn’t. The battle lines are still in place, the acrimony remains evident, and it’s increasingly difficult to know how much the situation is being fuelled by the industries themselves, or by those who are their acolytes. Accordingly it seemed worthwhile to look at the basic facts of the matter – partly with a view to de-politicising the debate, partly because consumers and producers will both benefit from a less hostile environment. No one seriously questions the vast improvement in cork quality over the past decade. The era of 10% cork taint at a tasting are long past. I was reminded of this recently, at the annual wine judging academy, where the flights of the older (international) wines were compromised (as they are every year) by the cork quality of that era. Comfortably 10% of the samples were tainted. It was nothing short of a miracle that the 6 bottle vertical of Chateau Gruaud Larose (from 2005 back to 1966) emerged unscathed. In previous years the five decade tasting which wraps up that segment of the Academy has always had at least one – sometimes two – compromised examples. By the same token, most of the younger flights proceeded taint-free. At a guess I would say that the level of contamination was around 2% (and it’s not impossible that some of this may be cellar – rather than closure – related). You might argue that this is still unacceptable (you wouldn’t fly on an airline with a 98% safety record) but the improvement is real. There’s still an issue of reduction with stelvin but this remains a winemaking/bottling problem rather than a screw-cap supplier issue. If a winemaker doesn’t understand that wines need to be prepared differently for bottling under stelvin rather than under cork, you can hardly blame the party responsible for supplying the closure. However, one of the issues that this raises is to what extent problems associated with cork have also been winemaker/bottling problems, rather than intrinsics related to the closure. Cork has been excoriated both for taint and for random bottle oxidation. It’s certainly true that in a very arbitrary way some corks are more permeable than others, leading both to fluid loss, but also to excessive oxygen ingress. Where we are now picking up premature oxidation on screw-cap closed wines it is safe to assume that the cause of this fault is (generally) not the closure, but technically incompetent pre-bottling preparation and/or poor bottling hygiene. De Grendel’s Charles Hopkins has conducted considerable research on the safe levels of dissolved oxygen in wines prior to bottling and it is clear that far too many winemakers ignore the importance of this measurement. Many are also negligent when it comes to supervising the mobile bottling companies who undertake their on-site bottling. On both sides there have also been great technological advances: guaranteed taint-free corks are now available (admittedly at a considerable premium). You might argue that guaranteeing your corks taint-free is a little like a break-lining supplier guaranteeing that the brakes work – it’s what they’re supposed to be anyway. 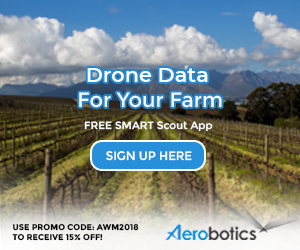 However, this now imposes a more serious onus on producers of ultra-premium wines to ensure that they (and through them all their customers – rather than arbitrary and unfortunate individual consumers) bear the cost of this final stage of wine quality. Diam agglomerates, found almost everywhere, are now widely used and are virtually taint free. Not all composite corks are made to this spec: Diam is the market leader, but not the only player in the taint-free agglomerate game. 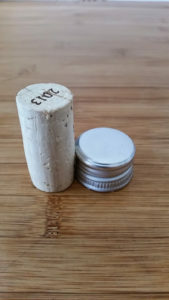 On the screwcap side there are linings offering varying degrees of permeability, ensuring a controlled degree of evolution for those wines which are expected to mature in bottle. What has come from the almost boundless closure warfare of the past two decades is a significant reduction in consumer disappointment based on factors largely beyond the winemaker’s control. In fact, now more than ever, the responsibility has been shifted back to the producer who can choose the type of closure and then the appropriate risk of taint, reduction/oxidation. No longer can a winemaker anywhere in the world shrug his/her shoulders and look helpless when punters complain about an unsatisfactory bottle: either the cellar was dirty, the wrong closure was selected, the wrong bottling protocols were applied, or the cheapest solution chosen. Whatever the cause, consumers can vote with their wallets – which is the best chance we have of keeping the closure suppliers honest. Previous articleSound and thunder – what to make of the proliferation of commentary on SA wine? Michael I don’t think it’s ever been “a war” but certainly a matter of differing opinions. Most vehement participants are the closure suppliers themselves, be they cork producers, Nomacorc metal screw cap (Stelvin et al), Novatwist or Vinolock. Most winemakers agree there is no one perfect closure for all wines. Consumers really don’t care as long as the wine tastes good. Research has shown consumers do not base wine purchase on a closure choice! There are a number of misapprehensions in this article. 1	Although cork is permeable to gases and vapours, when compressed in the neck of a bottle it provides an effective barrier to the entry of atmospheric oxygen. This was demonstrated comprehensively by researchers in Bordeaux in the 1930s. Their work demolished the “breathing corks” hypothesis and provided the rationale for the development of metal caps with oxygen-impermeable wads or gaskets. 2	So-called “random oxidation” is caused largely by inadvertent compression of headspace air by the incoming cork when the corking machine is run at slow speeds and/or when there is ineffective application of vacuum or CO2 flushing. 3	The acquisition of TCA is largely an environmental problem also experienced by the food an packaging industries. Although the rate can be extremely variable, several large scale surveys have put the figure at around 1-2% or less. 4	Exclusion of oxygen contact causes a spontaneous reduction of the oxidation status of the wine as measured electrically by the ‘Redox Potential’. 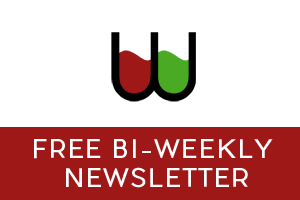 Data produced by LBM showed the same lowering and seasonal fluctuations of Redox Potential for cork and various wad formulations. The reason that cork-sealed wines are not plagued by SLO (sulfide-like odours) is because they are absorbed by the cork. yep is seems the debate is alive and well – yep John corks don’t breath but i have read of gas exchange between the cork and bottle neck. One would imagine that wines that suffer random oxidation as you describe would be prone to it due to low SO2 and / or high dissolved oxygen, after all only so much O2 can be trapped in the neck. DR. ANDREW WATERHOUSE ELEGANTLY EXPLAINS THE IMPORTANT OF BOTTLE STOPPERS AND AGING WINE. Dr. Waterhouse is a Chemist and Professor of Enology at UC Davis who studies phenolic compounds and how they effect wine taste and human health. However the oxidation process provides benefits along the way to that unwanted endpoint. Many wines develop undesirable aromas under anaerobic –no oxygen– conditions; a small amount of oxygen will eliminate those trace thiol compounds responsible for the aroma of rotten eggs or burnt rubber. Oxidation products also react with the red anthocyanin molecules from the grapes to create stable pigments in red wine. A small fraction of corks, 1–2% today, end up tainting the wine with a moldy smelling substance, trichloroanisole (TCA). This TCA is created via a series of chemical reactions in the bottle: chlorine from the environment reacts with the natural lignin molecules in the woody cork to make trichlorophenol, which is in turn methylated by mold. TCA has one of the most potent aromas in the world – some people can smell as little as 2 parts per trillion in wine. So, in every eight cases of wine, one or two bottles will smell like wet cardboard or simply not taste their best. This is why restaurants let you taste the wine before pouring – to let you judge if the wine is tainted. A 1% failure rate seems high in today’s world. Synthetic closures are cheaper, predictable and great for everyday ways. Natural cork is the only cork proven for long-term aging. 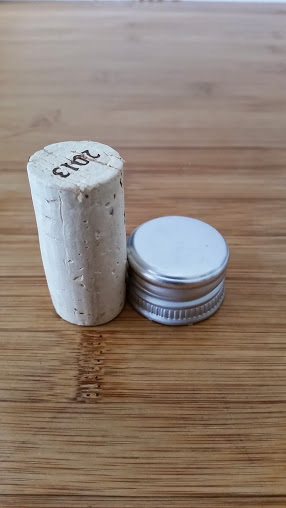 However, the preliminary results of a more recent study by the University of Porto’s Department of Chemical Engineering suggest, for natural cork closures, that most of the oxygen diffuses through the closure, although some permeation through the cork-glass interface was also found (Cristiana Pedrosa, University of Porto, pers. comm.). The Porto researchers used the Wicke-Kallenbach method, a Mocon- like test that uses different concentrations of oxygen on either side of the cork to drive the movement of oxygen, but maintains the same total gas pressure on both sides of the cork. The study was partly funded by Amorim. What’s the opinion of metal bottle cap closures like Luddite uses on their Saboteur? Very tasty wine and easy to pop off!